Odisha is all set to join a list of states with its own luxury train which will be similar to “Palace on Wheels” and will showcase the beauty of popular tourist destinations in Odisha like Puri, Bhubaneshwar, Cuttack and Konark. The move has been taken keeping in mind the tourism potential of the state which rests on its lovely beaches, cultural and heritage sites and exciting wildlife. This move will see Odisha join states like Rajasthan, Maharashtra and Karnataka whose luxury trains attract a large number of tourists. Around 15 states had received proposals from the Ministry of Tourism to own tourism trains in the month of February. However, Odisha was granted this opportunity because it was the only state to respond to this plan. The plan is an outcome of a meeting between the railway officials and Odisha Chief Secretary AP Padhi in Bhubaneswar in July. A team of OTDC may visit Delhi in August to finalize the model of ownership. Indian railways operates five luxury trains in India at present. These are Palace on Wheels, Heritage Palace on Wheels (both by Rajasthan), Deccan Odyssey (Maharashtra), Golden Chariot (Karnataka) and Maharajas Express (IRCTC). 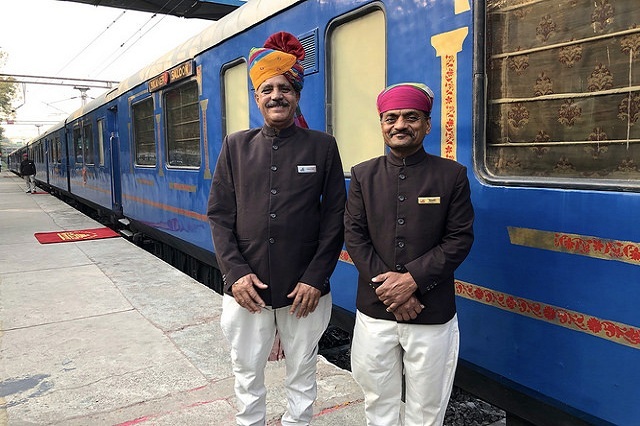 The last of such trains was Heritage Palace on Wheels in December 2017. It is usually the responsibility of the respective train-operating tourism corporations to promote the luxury trains. Palace on Wheels and Golden Chariot are run on revenue-sharing basis, while Maharajas’ Express and Deccan Odyssey are operated on haulage model. Under this model, the Railways charge for the locomotives or the operation of the train. In a bid to attract customers while making it relatively economical for states, Indian Railways had decreased the haulage charges of luxury trains by at least 50 per cent to around Rs. 4 million for a trip of seven days from Rs. 7 million. Towards this end, it has also waived off a penal interest on existing outstandings of Rs. 379.6 million for Rajasthan and Rs. 31.7 million for Karnataka. Indian railways has also decided to provide coaches to states at a fairly reasonable rate. The interior designing of the coaches, along with the hospitality, routes and destinations will be decided by the state government. The names of the new trains however, are still to be finalized. It would be interesting to know that more that more than 90 per cent of the passengers on the various luxury trains of India are foreigners.